Plastics are an indispensable part of our daily life but also have many applications in electronics, medicine, and environmental protection. Traditional plastic industry consumes about 7% of the global production of fossil fuel. As the nonrenewable fossil fuel will exhaust within the next century, the development of green polymers from renewable natural resources will play an ever-increasing role for future generations toward a sustainable society. Some of natural polymers such as cellulose, for example, have a very long history of use without major modifications. Others are newer. 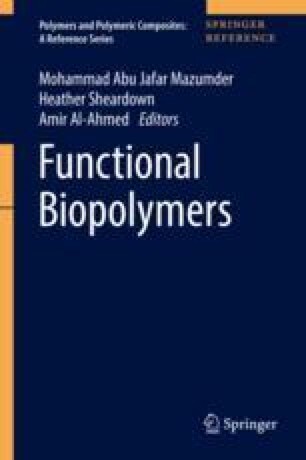 This chapter provides a brief review of alternative plastic materials from renewable sources, such as polysaccharides, lignin, biomass and bio-oils, tannin, cellulose, and many others. The application of those materials is getting wider and wider, and they can replace many of traditional plastics. In addition, the use of much “greener” plastics from renewable resources contributes to reducing the environmental impact of fuels and other petrochemical products and traditional plastics, which are responsible for atmospheric pollution and for the increasing level of greenhouse gases that are the main reasons for global warming.